This is the predicted Newcastle team v Chelsea for Sunday afternoon’s match. A 1.30pm kick-off at Stamford Bridge as Newcastle fans wait to see if the team can be the first to reach the fifth round of the FA Cup during Mike Ashley’s time at the club. Matters are complicated with a Premier League game against Burnley only three days later but I still fancy Rafa Benitez to choose a stronger team than many will expect. If fit enough to start, then surely Aleksandar Mitrovic will get a game up front. The Serbian striker is desperate for regular football and Rafa is desperate to sell him, so visible proof of fitness if he plays, could hopefully help get a deal sorted. 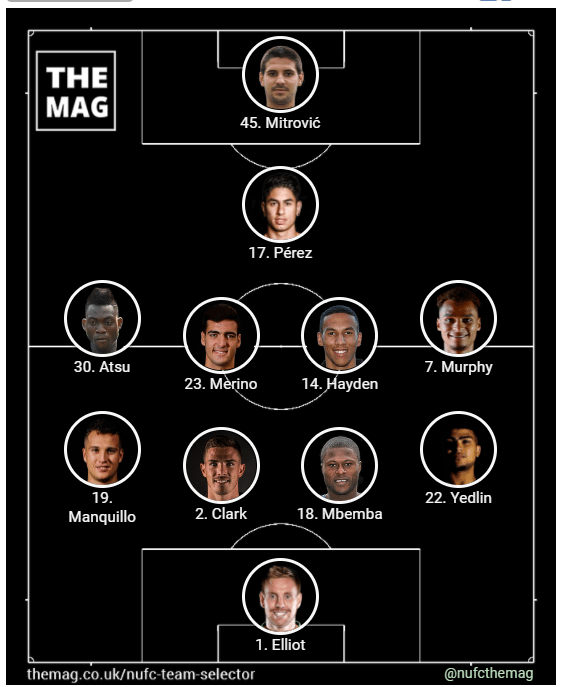 Newcastle will once again be expecting to defend more than they attack and I can see Ayoze Perez selected in behind. He and Mitro did ok together at times in the relegation season and could be paired once again. I think Christian Atsu will be given his chance back at the club where he was on their books for years without getting a game. He has been very up and down this season so hopefully with a point to prove he will do so on Sunday. Jacob Murphy is really growing into his role this season and a class goal at Manchester City will see confidence soaring. Rafa will fancy having pace on the wings with neither Mitro or Perez very quick – Murphy also having helped create the goal when Dwight Gayle scored here in the 3-1 Premier League defeat. Rafa Benitez doesn’t seem to have any clear idea of who exactly is his first choice centre of midfield and I think it could be the turn of Merino and Hayden to be paired together. Merino said in a recent interview that he is creeping closer to full fitness and this should be another step towards that. I can see Rafa looking after Jamaal Lascelles ahead of the Burnley match and perhaps Paul Dummett as well. Lascelles has become the key player this season as his presence improves though around him, whilst Paul Dummett has arguably been Newcastle’s best defender in the last couple of matches. I think both will be kept for Wednesday night and Chancel Mbemba get a rare start alongside Ciaran Clark, with Yedlin back in and Manquillo returning to the left. Karl Darlow continued his form since getting back in the team and made a few cracking saves at Manchester City. However, now he’s fit again, I think Rob Elliot will be given game on Sunday. Chelsea made nine changes for their home match with Norwich, so interesting how strong a team they put up, but the Newcastle team below could just maybe get a result. A parting present from Mitro?